A simple drive along the island reveals the geographica variety which allows for many kinds of sports and outdoor activities for those who love outdoor life. Sites of incredible beauty and sharp contrast: lush spots of vegetation, beaches and mountain slopes and interesting wildlife on land and underwater. As years elapsed holidaymakers have more frequently chosen to stay in farmhouses rather than towns to enjoy a different kind of beauty. From a deep dive in the Egadi Islands, you can switch to mountain climbing in an immaculately cared for national park . From a day relaxing on a sunny beach you can head out for a horse-ride. Locals have only fairly recently realize what wonders their own island holds and the advantages they can take from it, hence why infrastructure is improving slowly but steadily. Travellers to Sicily will never be short of hiking options. Besides walks around towns and villages there are the fantastic parks such as the Nebrodi mountains, the Parco della Madonie and the Riserva Naturale dello Zingaro. The Madonie attracts most tourists and boasts excellent organization and maps available at the tourist information offices in towns such as Palermo and Cefalù or in Petralia Sotana. This is known as the Carta dei Sentieri e del Paesaggio. The Parco Regionale dei Nebrodi is much less visited and less well signposted. The largest European beech forest and a circuit around the lake are among the attractions in the Nebrodi mountains. Wild flowers blanket the mountains and enhance both parks‘ unsurpassed beauty. To make the most of the scenery in the parks, it is recommended to hike in spring when the breeze awakens the fragrances and the flowers are in blossom. Autumn is also another great option with a marvellous atmosphere, quite different with a rusty colour palette. It is also the grape harvest season in which you can participate. Salina has its own geography and Pantelleria too. It is an idyllic setting whose hiking routes often lead to fantastic mud baths and natural thermal baths. Sicilian landscape is known for its volcanoes. 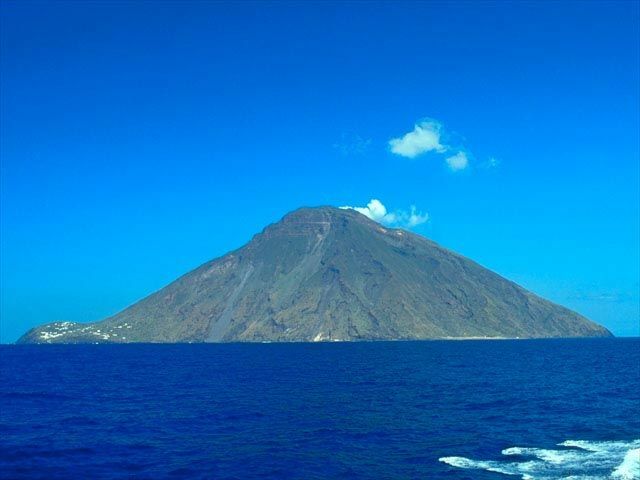 Sicily itself has the Etna, and the Aeolian Islands have Vulcano and Stromboli (Picture 2) on the islands of the same name. The Etna and Stromboli are still active, a reason why climbers have to stick to the safety zones although rarely are they put off by the looming danger. These volcanoes offer magnificent experiences: the variety of flora and fauna of the Parco Naturale of the Etna and the never ending fireworks the Stromboli gives spectators at night are magnificent. Trekking the 165-km around the Etna, or its high trail trek at 1300-1800m or going across it from town to town are priceless experiences. You can contact Gruppo Guide Alpine Etna Sud if interested in visiting the most recent lava trail. At the beginning of spring ambling around Etna on horseback is fantastic and there are several stables available from where to start off your journey of discovery. The tourist information office offers the itinerary A Cavallo, a booklet informing travellers on possible routes and stables. During the winter the Etna becomes the paradise of skiers. Sicily is not so easy to get about on bike because of its mountains peaks and windy narrow roads. Only for the most daring…a real challenge. The west area is less mountainous. Favignana, Trapani and Syracuse are the best places to ride around. Many corners of Mount Etna have fantastic vantage points to view the scenery. Departing from Catania, visiting Linguaglossa, Randazzo, Bronte, Rifugio Sapienza and all the craters you wish on the way, winding through forests of pines and chestnuts and circling back is the most visited route available around the Etna. More options start from Enna in the centre, embracing Agira, Troina and the Parco Regionale dei Nebrodi, or on the west Scopello, the Riserva Naturale dello Zingaro, Erica medieval style, Trapani, Marsala, its wine producing areas and Selinunte’s classical treasures. Outside of the rainy winter and the scorching hot summer days you can ride around Sicily all throughout the year. Just make sure you book ahead if you want to come over Easter as it is the most popular season. You should choose an all-terrain bicycle that is adaptable and of course travel well equipped with repair kit, helmet and map. Among the dangers of travelling around this island are the scooter drivers and fairly relaxed way of driving, even around particularly hairy bends with little concern for sharing the roads with cyclists. The Rofeo dell ‘Etna and the Rofeo Pantalica are both held in March around the mountain and close to Syracuse respectively. Under the water´s surface a kaleidoscopic sea life unfolds, multicoloured shoals of fish and exotic sea landscape. Ustica’s pristine waters are a draw for scuba divers. It even has underwater signposting explaining all the findings. You can head for the Marine Reserve Visitors Centre to find out more about the reserve (tel. 091 844 94 56). Several diving agencies organize archaeological trips (some organized at night!) to the Egadi’s marine reserve such as Atlantide (www.progettoatlantide.com). Fishing tourism is a different way for visitors to the islands to experience sea life, enjoying relaxing on a boat while you fish for your lunch. 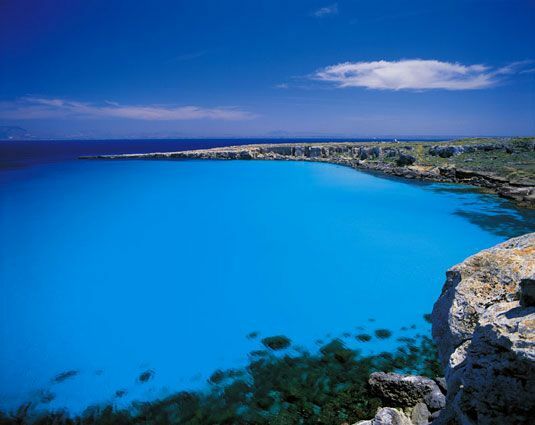 Sicily also abounds in swimming and snorkelling sites. 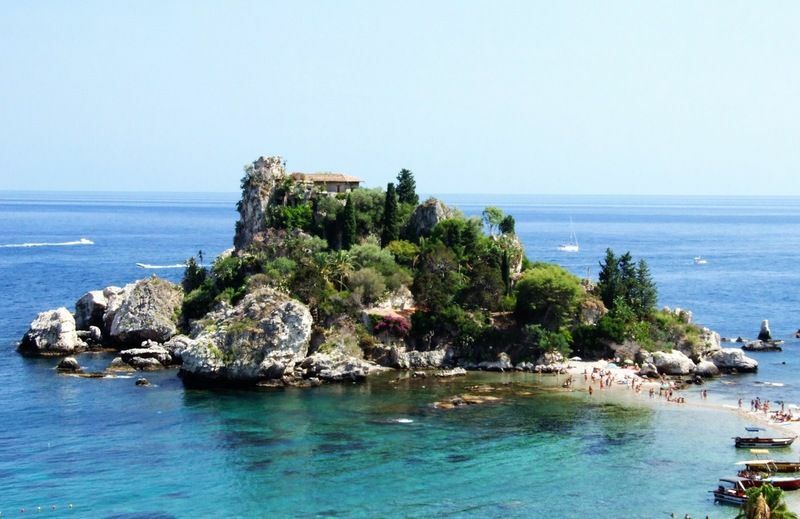 In Taormina and the Aeolian Islands there are places to hire your equipment. Isola Bella (Picture 1) , the Blue Grotto (the Ionian Coast) and the Grotta del Bue Marino (Filicudi) are all wonderful sights. The Liparian Diving Centre la Gorgonian ( www.lagorgoniadiving.it ) and the Taorminian Nike Diving Centre (www.divenike.com) can organize and rent equipment. Motorboats or gommone (motorized rubber dinghy) are available all around Sicily in the authorized areas. Pedalos and jet skies are common on the more touristic beaches. Piano Battaglia in the Parco delle Madonie is one of the two Sicilian ski destinations. The other ski resort is on Mount Etna which is blanketed by about 3m of snow in the wintertime. Sicily is definitely an interesting alternative to typical ski locations which should not be ruled out.